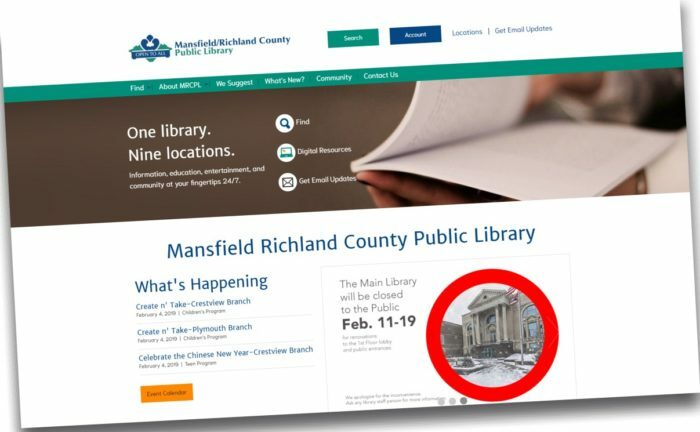 Since we have been publishing, we have highlighted several Richland County organizations, churches, and businesses that have updated their respective web presence. Recently, the Mansfield/Richland County Public Library has joined that number. Visitors to the site will immediately notice a cleaner, wider interface. Several of the home page features on the former site – such as links to digital resources and a “We Suggest” section – have been moved to new locations, the latter expanded with specific options from which to choose. Specific new available selections from the Library are now presented on the home page as well. The web address/URL remains the same — https://www.mrcpl.org.